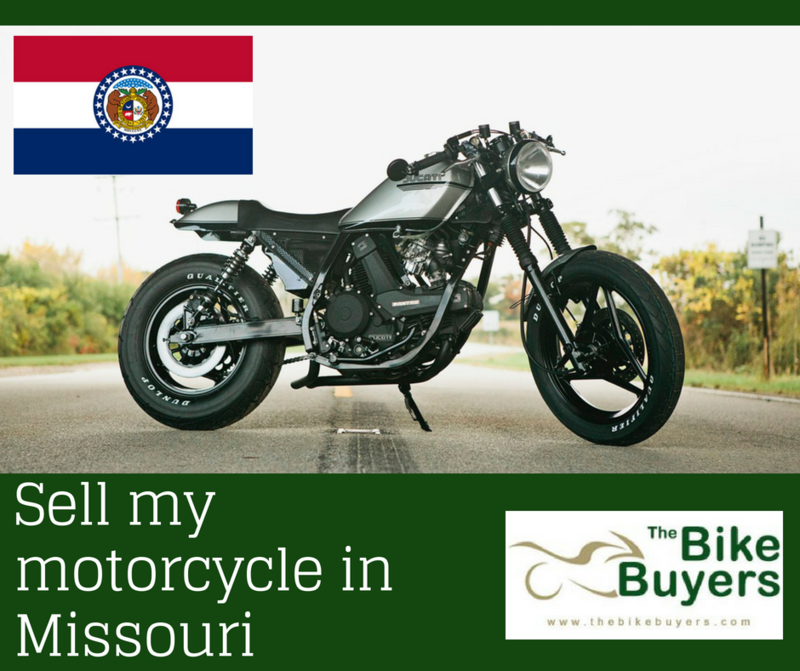 Before going further for sell my motorcycle in Missouri, you should be sure that you are getting maximum cash for your motorcycle. Because many buyers buy motorcycle behalf of its model & make; which harm to sellers. To avoid these things you should sell your motorcycle to TheBikeBuyers.com. We promise to pay you instant cash. And you will get maximum cash for your motorcycle than any other motorcycle buying company. We always make our deal directly to the customers. We never use middle mans or brokers for making deal with customers. These types of people not only make hassle also create some problems for customers. For make a fair deal you should fill our online Get a Quote form according to the situation of motorcycle. You can also use your phone for contact us by dialing following number 877.751.8019.